Our online ordering process takes you through a step-by-step guide to make choosing the right tag quick, easy and secure. 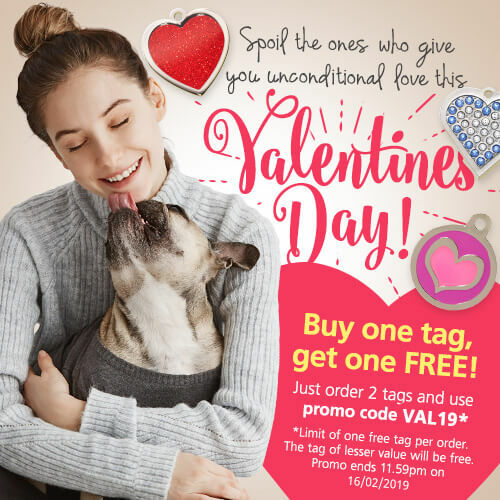 Start by choosing which of our 7 ranges you would like to order from – Fashion tags, Colorful Designer tags, Sparkling Bling tags, Glitter tags, Aluminum tags, and Brass, Nickel & Stainless Steel tags. 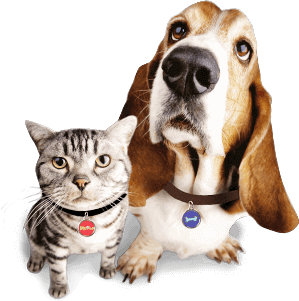 Select which tag design you would like to order. Select which size tag you would like. 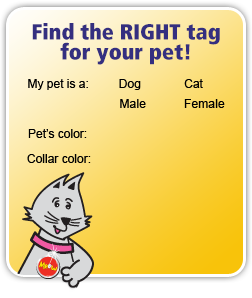 Customize the tag with your pet’s name and your contact information (or other name/information if you do not want your pet’s name to appear). Review your tag and edit or confirm your order. Select another tag or checkout.